Everyone knows FLY (Phur) by ANU and the accompanying video from last year. The other day on WeChat I came across this amazing new, and I’m assuming unofficial, video for it that seems to be promoting Yushu, where the ANU guys hail from. I’m sharing the video here because I love it so much and hope you enjoy it too! Have a great summer! It’s been heartwarming to see all the positive responses from all around the world to the news that Dhondup Wangchen arrived safely in the US on Christmas Day. 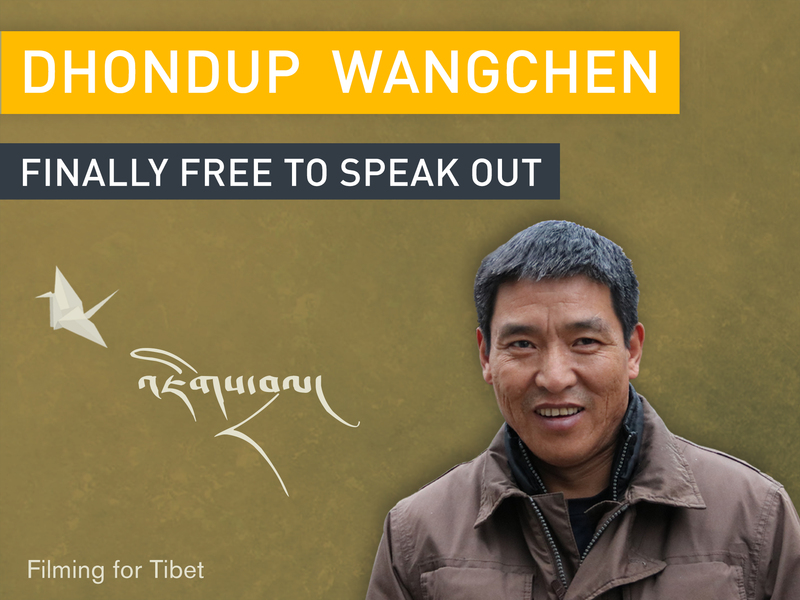 Dhondup Wangchen’s escape from Tibet has been a rare piece of good news! There has been strong media coverage of Dhondup Wangchen’s story that started with our Filming for Tibet press statement on 27 December. There have been news reports on New York Times, Reuters, Guardian, amongst many others. Yesterday I was invited to speak with Sharanjit Leyl on BBC World News during the 8pm news, the video is above! It is my honor to welcome Tibetan Filmmaker & former Chinese political prisoner Dhondup Wangchen to our San Francisco community. My thoughts are with him as he is once again united with his wife & children in freedom after so many years. This is all so amazing and quite surreal, considering it’s been ten years since Dhondup Wangchen started filming “Leaving Fear Behind” – what a journey.